Inspired by my friend, Susan from Homeroad, I whipped up some quickie, patriotic, mini pillows last night. We were away for Memorial Day weekend, so I had a bunch of Dollar Store mini flags that were just sitting around. 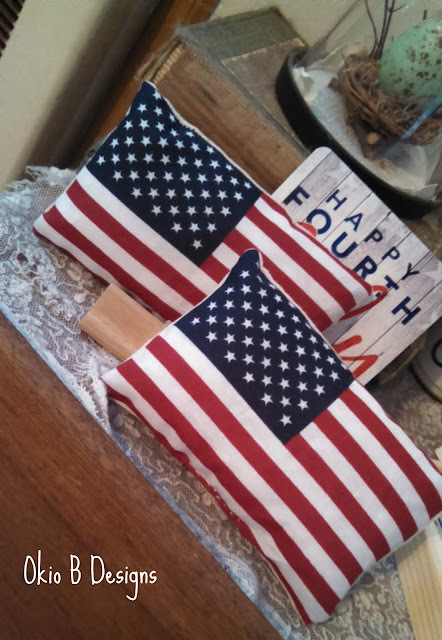 With Flag Day and the 4th of July right around the corner, I decided to make a couple of these adorable mini pillows. First, I ironed the flags to make them flat. Then I carefully removed the staples holding them onto their sticks. 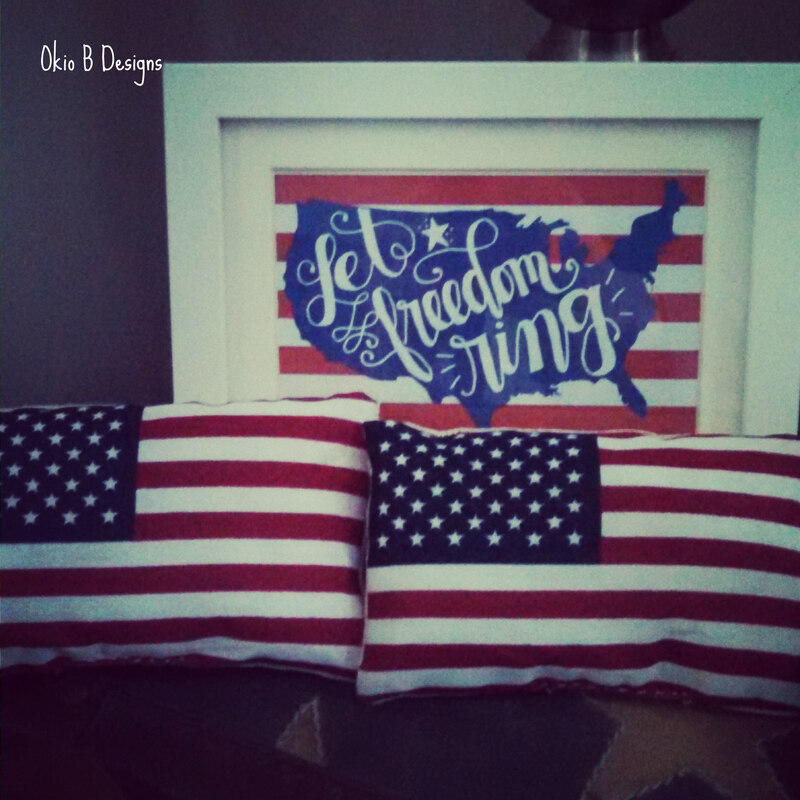 I chose Osnaburg fabric for the backing and cut it to size. A few stitches from the sewing machine and some stuffing, and voila! 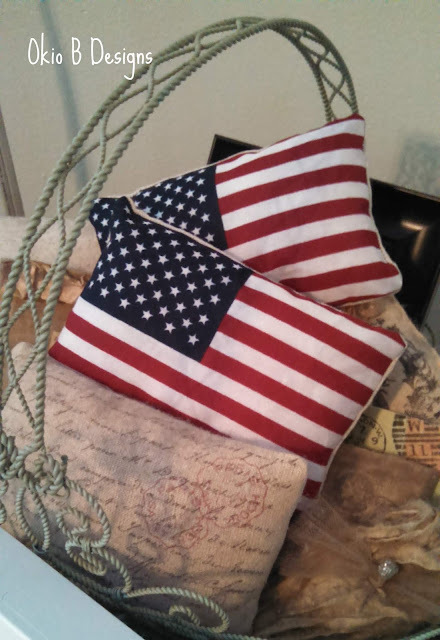 - mini American flag pillows!